Save 59% and get free shipping! 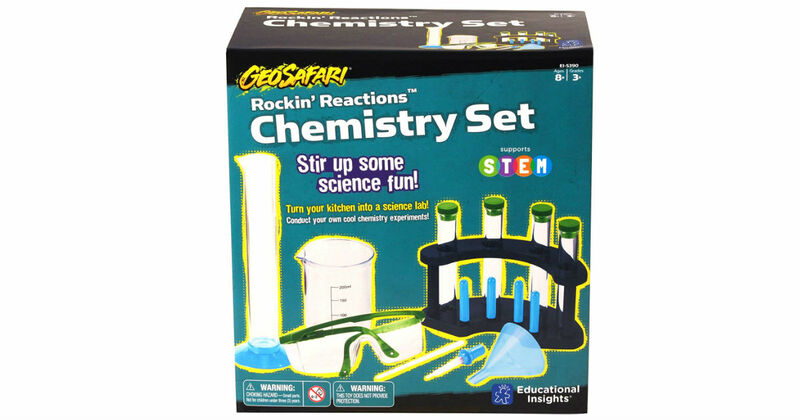 Hurry over to Amazon to snag this Educational Insights GeoSafari Rockin' Reactions Chemistry Set for only $10.17, regularly $24.99. Conduct fun science experiments at home with common household ingredients. Includes beaker, 4 test tubes, test tube rack, graduated cylinder, lab glasses, dropper, funnel, stirring rod, and 22-page activity journal.